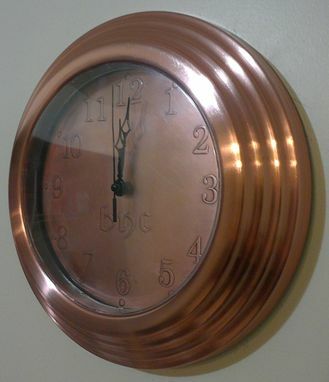 This clock is AN ATTRACTIVE HOUSE WARMING GIFT FOR A NEW CONTEMPORARY HOME made of brushed copper mantel with warm brown patinated copper Dial in the background. 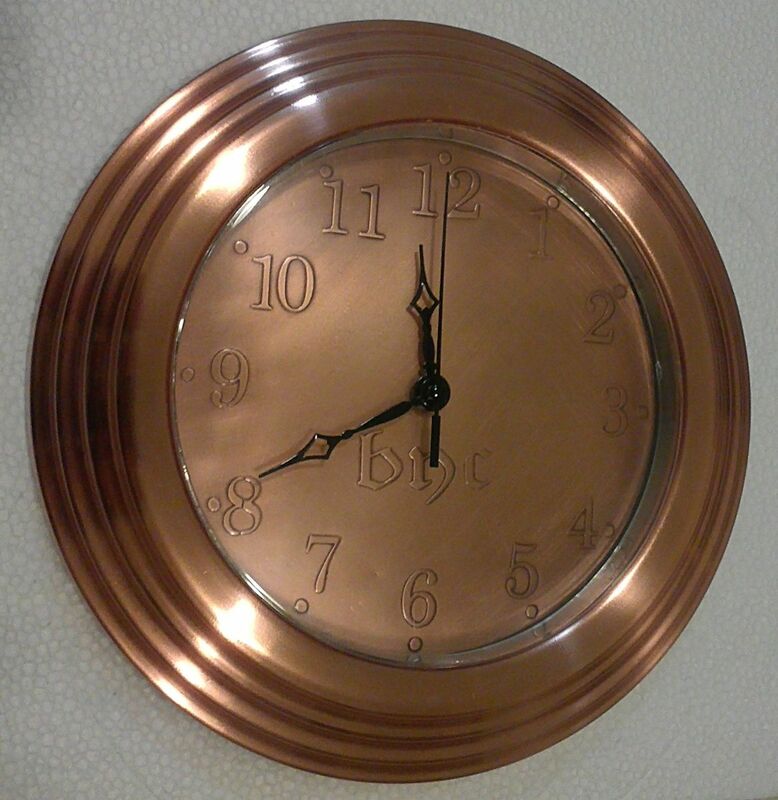 Copper Dial is created using the traditional acid etch process.The movement is 1/8" silent CONTINUOUS SWEEP. Clock such as this can be customized for $25(acid etch process) and it will last for ever because copper is a highly durable material that will not rust, numbers will not evaporate or fade. . You can personalize it with a family or business name, favorite saying, special wish, etc . We can also create a brand new clock design for you. Contact us for complete customizing options and pricing.